London at the National Centre for Circus Arts, with partnership schools in Sheffield (Greentop circus), Manchester (Circus House), Nottingham (Tuyo), Brighton (The Circus Project) and Birmingham (CircusMash). For young people aged between, 11 – 18 years. The National Centre for Circus Arts runs the circus strand of the Centre of Advanced Training in partnership with our host school, London Contemporary Dance School at The Place. 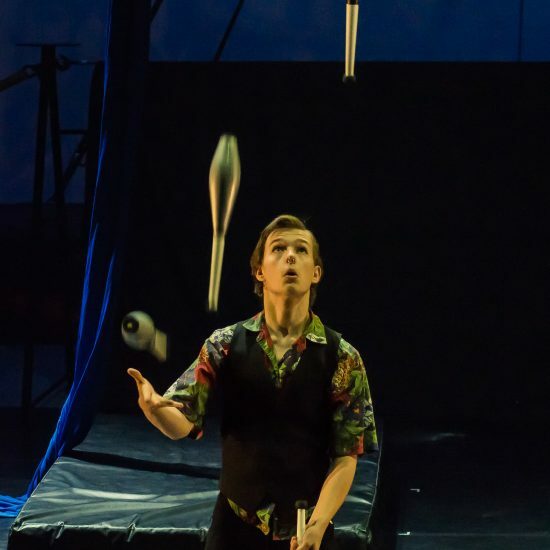 Our London based CAT students train as part of the London Youth Circus programme, with their main training running on Sundays. 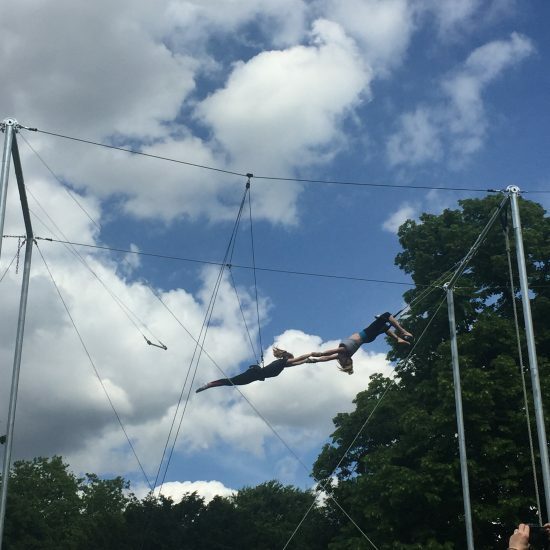 Students train in one of five main disciplines; juggling, acrobatics, static trapeze, flying trapeze and tightwire. They can also access up to five supporting classes each week which aim to increase creativity, skill base and overall fitness, these include silks, rope, acrobalance, choreography, movement, conditioning and flexibility. The average training hours per week range from 11 – 18 hours. 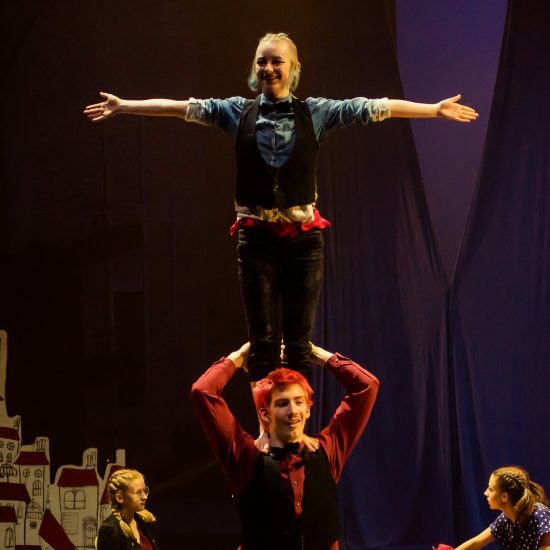 Aside regular training, our CAT students are offered mentoring, performance opportunities, week long intensive workshops, subsidised circus shows and paid support to take other relevant courses/classes outside of our training centre. 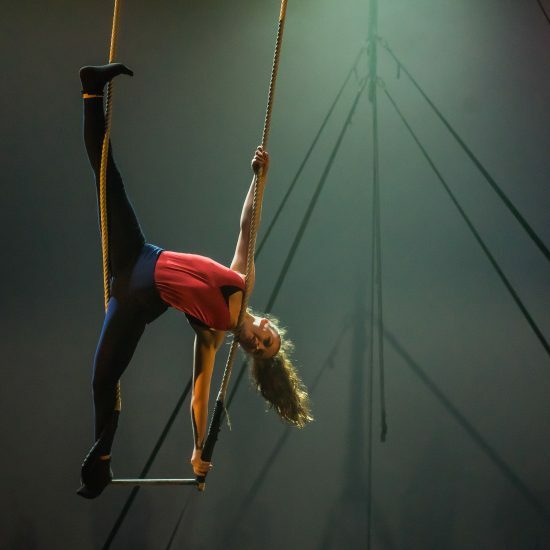 Recruitment for students currently on the London Youth Circus occurs each June via an invite process. If you are not a member of the LYC and would like to be considered for the CAT scheme, we would recommend auditioning and committing to the LYC programme for at least a year before considering the CAT scheme. For more information, please contact the Participation team at the National Circus. We also support CAT students who live outside of London and train with partnership circus schools across the UK. 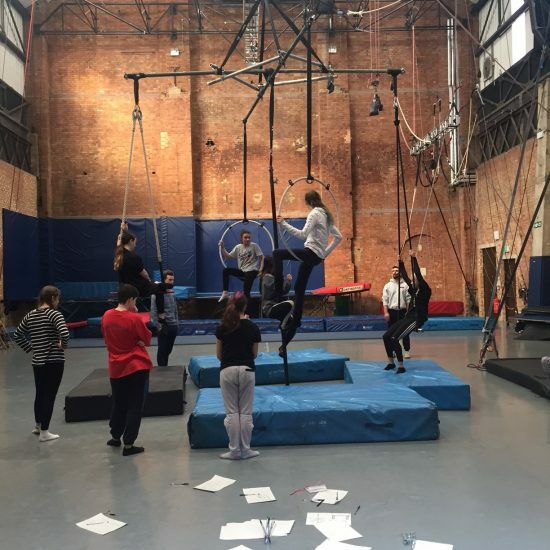 These students have their training provided by schools in Sheffield (Greentop circus), Birmingham (CircusMash), Nottingham (Tuyo) Brighton ( The Circus Project) and Manchester (Circus House). External CAT students are supported by their lead practitioners at their training school and the National Centre for Circus Arts. Support for our external students differs per student/per school, through personalised arrangements with their practitioners and families. Recruitment for external CAT students is done each June. If you are interested in becoming a CAT and are currently a member of one of our partnership schools please contact the lead practitioners at your centre. For Youth Circus groups that would like to become partnership school, please contact Participation team at the National Circus.